I have an ongoing goal to show that actual conversations happen on Twitter. I like to think of Twitter as the online version of a great coffee shop where great conversation can happen. So this afternoon on Twitter a group of us started talking about Eucharistic Prayers. @BCPYouth I use them all, but many Churches do seem to revert to A a lot. @theologybird I personally like D the best, but alas, what can we do? @BCPYouth I Love D! Would use it more if ppl didn’t comment on the length. (I know. I know.) We’re working on it. @theologybird @BCPYouth A is the most basic, and the shortest, but I *love* both B & D. And EP2 in EOW. @cmccarson @BCPYouth Me too. (Glances over shoulder) most participatory. Love that. @theologybird @BCPYouth Agreed. Love the additional congregational responses. @theologybird @BCPYouth When I write Eucharistic Prayers, I like to spread out the speaking parts – even the deacon says something! @GodWelcomesAll @BCPYouth I love a deacon at the table. @theologybird @GodWelcomesAll @BCPYouth No one likes Prayer C but me. I love “Earth our island home”. Ah, the Star Trek Eucharistic Prayer! @cmccarson @GodWelcomesAll @theologybird Probably my favorite part of C. I love the language of D though. A and B to me sound really rushed. @mciszek @theologybird @BCPYouth … for pardon only, and not for renewal. One of the most beautiful lines in the BCP. @GodWelcomesAll @mciszek @BCPYouth yes. C has a lot of great lines. Obviously. @theologybird @mciszek @BCPYouth I love the Incarnational language of B. And EOW 2 & D’s lifting up of Mary. @BCPYouth @theologybird @mciszek That might get a little long, even for me. @BCPYouth @GodWelcomesAll @theologybird @mciszek Nope. Way too long of a service. Honestly, I like my Eucharist short and sweet. @theologybird @mciszek @BCPYouth And I love the Eastern heritage of D! @GodWelcomesAll @mciszek @BCPYouth the Ecumenical prayer! @BCPYouth @GodWelcomesAll @theologybird Least favorite liturgical element from EOW: The “supper of the Lamb” fraction anthem. @theologybird @mciszek @GodWelcomesAll Amen to that! @BCPYouth @theologybird @mciszek I love pretty much *all* the BCP, but want more pretty prayers. Dunno that any one book can hold all of it! 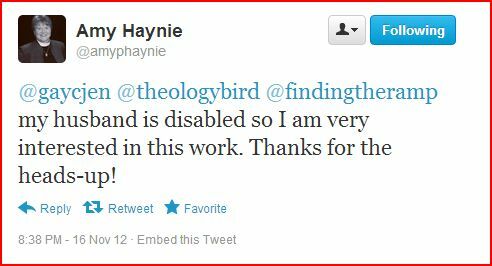 @theologybird @GodWelcomesAll @mciszek Let me know when you have the design! @theologybird @BCPYouth @mciszek I’d buy that shirt.